"The last word always belongs to the mountain". 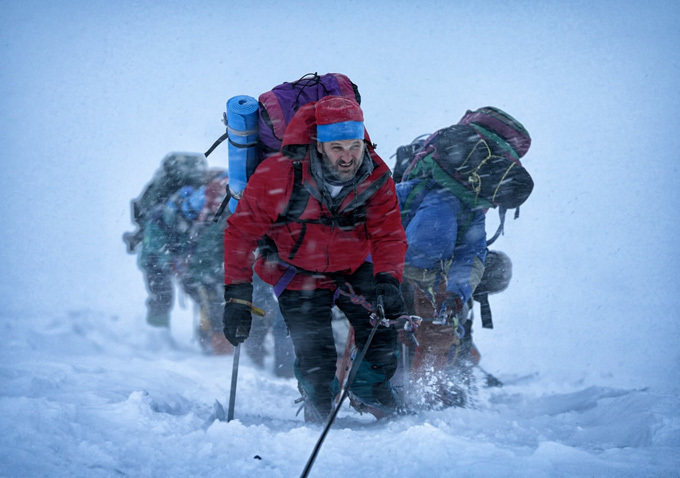 It's interesting that Icelandic filmmaker Baltasar Kormakur has taken the helm for the 3D mountain-climbing spectacle, Everest. Just a few years ago he tackled another man vs. Mother Nature survival tale, The Deep, depicting a true triumph of the human spirit over the elements. Things aren't quite so rosy in Everest, though; a film of literally high adventure, superhuman exploits, and devastating loss. 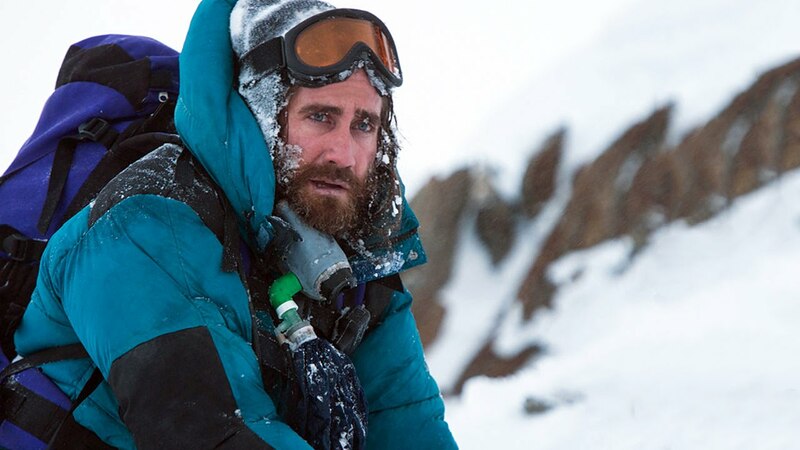 In depicting the sheer danger of the moment, the awe-inspiring majesty of the mountain itself, the film is beyond reproach, but its characterization of the men and women who risked all is slippery as Everest's icy face. 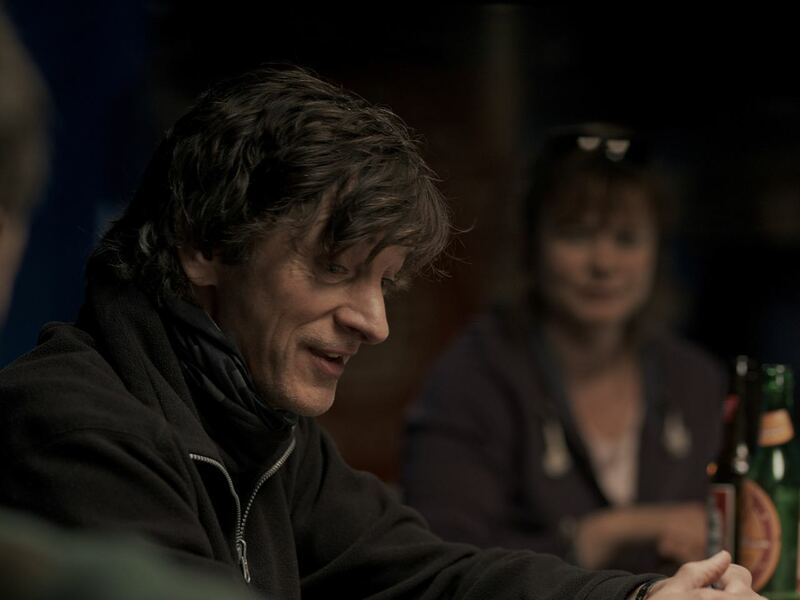 Based on the tragic true events depicted in author Jon Krakauer's book, Into Thin Air (although other material was used as well), the film centers on multiple 1996 expeditions to scale Everest's summit. 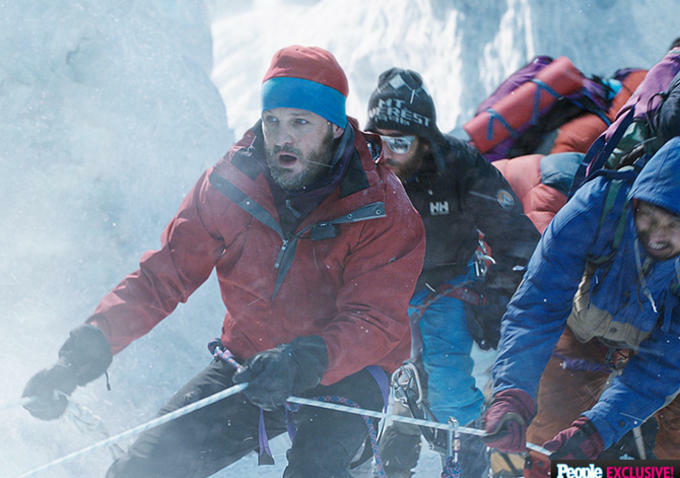 Rob Hall (Jason Clarke) is the man who helped turn such expeditions into a profitable business, and those corporate concerns clash mightily with the brutal reality of Mother Nature when she's all worked up. 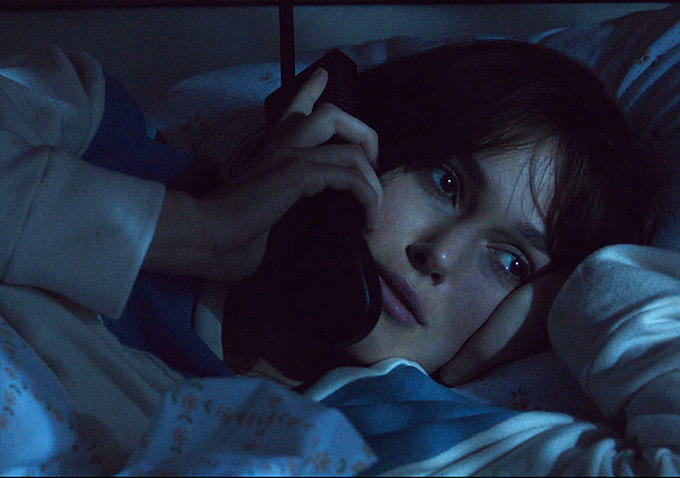 Through brisk introductory setup we meet Rob's pregnant wife (Keira Knightley), left behind to worry while he takes on one more climb. There's also 100% Texan Beck Weathers (played by 100% Californian Josh Brolin); everyman Doug Hansen (John Hawkes), who has tried to reach the summit twice and failed; Yasuko Namba (Naoko Mori), a woman who has reached 6 of the world's 7 summits; and Krakauer himself (Michael Kelly), documenting the journey. There are also a trio of ladies, played by the incredibly talented Emily Watson, Robin Wright, and Elizabeth Debicki, who are left behind to man the fort or just to worry. They don't get a lot to do but are essential for drawing an emotional connection, because there aren't many opportunities for that once the expedition actually begins. The mountain is, obviously, treacherous in just about every respect. The weather conditions are unpredictable, every movement or errant sound could trigger a landslide, and there are any number of ways a person can die attempting something like this. "Human beings simply aren’t built to function at the cruising altitude of a 747", Rob informs the already-experienced team, all customers who paid a hefty sum to reach the peak. But the real conflict, at least initially, isn't with the mountain, it's with rival climbers leading similar expeditions. Long-haired hippie Scott Fischer (Jake Gyllenhaal) is leading one, while other groups make for a crowded field. Tension mounts as climbers are forced to wait in sub-zero temperatures while others go ahead of them, creating a potentially lethal scenario. Not everyone has the experience, the concern, or the temperament Rob has, either. If there's an undertone explored by screenwriters Simon Beaufoy (Slumdog Millionaire) and William Nicholson (Unbroken) it's that Everest has been shamelessly exploited as just another commercial product. In a way, it undercuts the "Because it's there" gung-ho mentality of those who dare climb the mountain. You can now buy an expedition to the top of Mt. Everest like you buy a trip to Hawaii. Conversely, those in charge feel obligated to get you to the summit because you are a paying customer who could give them bad press. There's danger in that kind of compromise, one that Everest should have dug into further. But that would take away from the IMAX 3D escapade at hand, and this is a film that the format was designed for. It's literally breath-taking to follow the aerial ascent, reaching heights up to 29000 feet where every gasp for air could be the last. It's true that the mountain itself gets a far better treatment than the human characters as Kormakur and DP Salvatore Totino impressively capture every jagged foot. However, through all the thick fog and snow the human drama gets buried, exacerbated by the inability to tell who is who underneath all that massive gear. 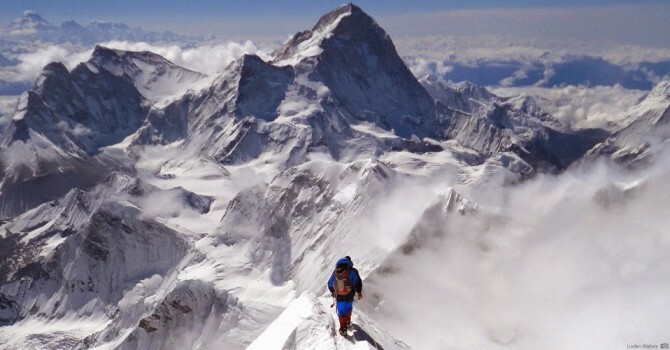 Basically, most of the climbers make the summit, but a severe storm strikes soon after, rendering the journey home nearly impossible. Everybody isn't going to make it back, and the deaths start piling up quickly...perhaps too quickly. In an effort to be as authentic as possible, the tragedy is shown with as little theatrics as possible. It may be honest, it may be how things actually went down, but it makes for a low-key, downbeat survival thriller when all is said and done. There's also a great deal of confusion about the specifics of what actually doomed the climbers, so much so that it may be wise to check the Wikipedia entry, or Krakauer's book, to figure out what really happened. That's not to say the performance during these scenes were bad, though. While this all-star cast don't get enough to build fully formed characters around, individually Clarke, Gyllenhaal, Brolin, Hawkes, and Kelly are great. It's just disappointing to not get more of a sense into who these people were, especially Namba as the one woman in the group attempting a record-breaking feat. Ultimately, Everest succeeds in capturing the experience, putting you right there thousands of feet in the air where no man was meant to go. But like the air at that incredible height, the film is pretty thin and never strives to be about anything in particular. There's no triumph of the human spirit here, just endless tragedy.